SeaStar Solutions recently held its first international sales meeting at its Hydraulic Division headquarters outside Vancouver. Principals and associates from SeaStar Solutions distributors in 20 countries were in British Columbia for the sales meeting. SeaStar Solutions recently held its first international sales meeting at its Hydraulic Division headquarters outside Vancouver, British Columbia. marine marketplace because of continued growth in the international boating business. 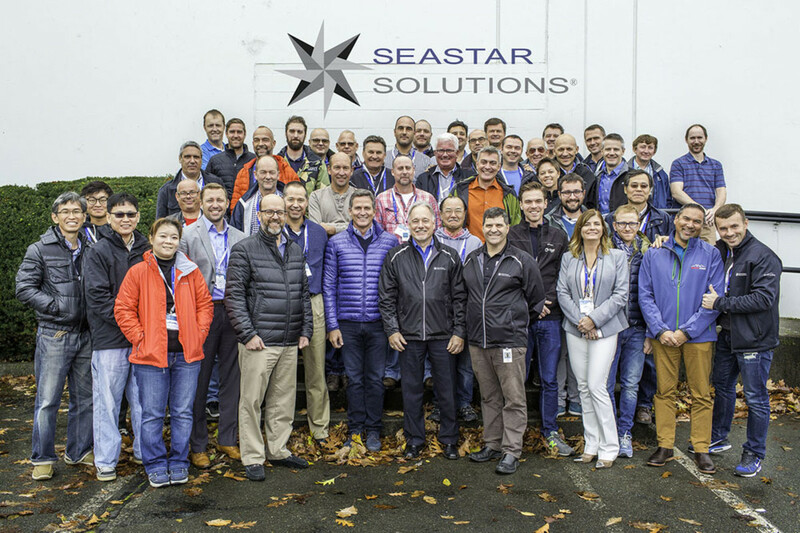 Principals and associates from SeaStar Solutions distributors in 20 countries in Asia, Australia, Europe, Scandinavia, South Africa and England gathered for what the company said were three days of intense product education and sales training. In-depth small group sessions dealt with mechanical steering, hydraulic steering, jackplates and Optimus 360 and EPS systems. Each small group also toured the Richmond, B.C., plant and got on the water for product demonstrations. “Our steering business has changed dramatically over the past five years,” SeaStar vice president of sales and marketing Tom Douglass said in a statement.